A multi-million dollar case of corruption and money-laundering, involving the fugitive Russian businessman Leonid Lebedev and his lawyer, now the President of Cyprus Nicos Anastasiades (lead image), moved to New York this week, as Anastasiades landed for a week of meetings at United Nations headquarters; followed by Lebedev’s jet a few hours later. Disclosures in a Manhattan court last week confirmed for the first time Lebedev’s emails to and from Anastasiades and his law partner, Theofanis Philippou. Over Lebedev’s opposition to revealing what these records say, the New York court is now set to request the Attorney-General of Cyprus, Judge Costas Clerides, and the Justice Minister, Ionas Nicolaou, to subpoena documents, bank accounts, and other records, plus communications to and from the businesses Anastasiades and Philippou have been supervising in Cyprus on Lebedev’s behalf since 2012; possibly earlier when Lebedev became a Cyprus citizen secretly, with help from Anastasiades and Philippou. That was in March 2011; they then began moving large amounts of cash from Russia through Cyprus companies and trusts into three New York banks. Attorney-General Clerides has been investigating Lebedev’s business in Cyprus for months. He had Philippou under investigation earlier for allegedly corrupt involvement in the sale of the state airline, Cyprus Airways. Anastasiades was a defence witness in a criminal court prosecution by Clerides of a former deputy attorney-general on corruption charges. The trial will conclude in Nicosia next week. “I have done my duty towards the justice system in my country,” Anastasiades said when he appeared to testify in June. Philippou has been charged with no wrongdoing. he refuses to answer press questions about the Lebedev case. Russian prosecutors are also pursuing investigations of Lebedev’s electricity company business in two regional courts, Tver and Yaroslavl. Lebedev was granted protection from Russian prosecution by the US Government in 2014, after he resigned his Russian senate seat and left the country. He now lives in Los Angeles. What Lebedev is offering to reveal to US Government officials he is refusing to disclose in the New York Supreme Court. There he has been suing for $2 billion in compensation for shares in the Russian oil company TNK which he claims he sold to Victor Vekselberg and Len Blavatnik, but was never paid for. Last December Judge Saliann Scarpulla dismissed Lebedev’s fraud allegations, leaving a single contract claim hanging on a single piece of evidence – did Lebedev control Coral Petroleum, the company which received Vekselbereg’s and Blavatnik’s payment for the oil company shares? The President of Cyprus knows the answer. He must now try to keep Lebedev’s secret from the Cyprus Attorney-General. In correspondence from Lebedev’s lawyer, Michael Miller, released in the New York court record on September 9, Lebedev now acknowledges that a substantial archive of evidence has been found on three Moscow computer servers, including correspondence with the Anastasiades law firm, dating back to 2006. A total of 11,700 emails have been identified as relevant to the court process, plus 4,500 “non-email electronic documents”; and at least 26 personal emails from Lebedev. He and his lawyer have told the court they refuse to open the archive while they decide how much of the contents is covered by attorney-client privilege. “The vast majority”, according to Lebedev’s lawyer. According to Miller (below, left), Lebedev’s (centre) New York lawyer, and a former US government prosecutor, Lebedev will be willing to ask Philippou (right) and Anastasiades to produce their records “but considering the vagaries of Cypriot law”, they may decide not to disclose anything. The unusual American attack on Cyprus law has been challenged by Vekselberg’s and Blavatnik’s lawyers. On September 2, they asked Judge Scarpulla to issue a formal request to the Cyprus authorities for compelling disclosures from Philippou and from the Anastasiades law firm. Since May a similar request from the New York court to the Irish High Court has been evaded by Lebedev and his men. Philippou was personally served with a subpoena to testify in Dublin; he refused to respond. For more details, read this. Revealed last week in the New York court file is the first documentary evidence that Lebedev himself controlled Coral Petroleum and its bank accounts when he, Vekselberg and Blavatnik were concluding their share sale and purchase agreement. A fax from Lebedev, dated in September 2002, gives instructions on paying money into a Coral Petroleum account at BNP Paribas (Suisse), account number 18724000180. The recipient of Lebedev’s fax, according to the record, was Vladimir Kuznetsov, Vekselberg’s representative in the deal. Last week, the New York lawyer for Blavatnik wrote to Judge Scarpulla complaining that Lebedev and his lawyer had been making “ representations concerning the entities and individuals under Lebedev’s control for purposes of discovery [that] have also been misleading, if not outright false.” The judge was told Lebedev’s offer to get the Anastasiades law firm to make voluntary disclosure was a “ruse” because he is refusing even to produce the evidence for the request for “purportedly voluntary productions”. Anastasiades has not reckoned that an old Russian client like Lebedev would come back to haunt him now. 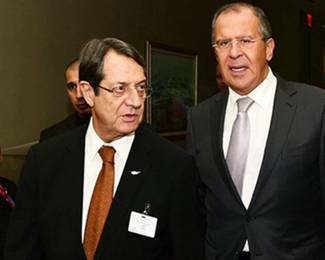 His spokesman, Nicos Christodoulides, has been asked by the Cyprus media to clarify what their relationship was. He replied evasively. The State Department has also been asked to say what it knows about Anastasiades’s relationship with Lebedev. It refuses to say. 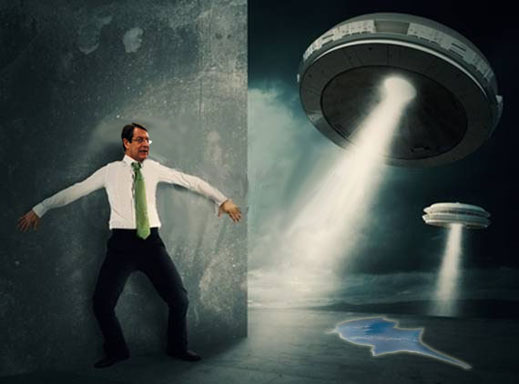 Cypriot and Greek officials, as well as UN sources, confirm that Anastasiades has been under intense US pressure to strike a deal with Turkey and its occupying forces in northern Cyprus. 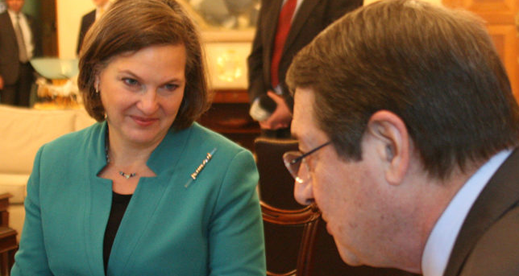 Assistant Secretary of State Victoria Nuland (below, left) has made this personal in trips to meet Anastasiades (right) in Nicosia in April and July. Cyprus sources believe Nuland has been threatening the Cyprus president with Lebedev’s evidence. This Thursday in New York, Anastasiades will be meeting with US Vice President Joe Biden. Biden will reiterate Nuland’s message that the US will finance offshore gas projects, new arms for the Cyprus military, and a land compensation scheme if Anastasiades accepts Turkey’s demands to retain land and property seized by invasion in 1974, and to keep its troops in Cyprus. This is unacceptable to Cyprus voters, including members of Anastasiades’s political party, Democratic Rally (DISY). He needs their backing to run for a second term as president. The election is not due until February 2018, but the manoeuvring on his presidential candidacy has already started. Allegations of corruption by the Cypriot media and political opposition against Anastasiades, his family and business partners are a growing liability for him. Last week, the Russian Foreign Ministry spokesman, Maria Zakharova, charged the US and NATO allies with pressuring Anastasiades into a deal with the Turks. “We consider some of our Western partners’ persistent attempts to speed up negotiations and push for a solution at all costs to be unacceptable. This is not right. The failure of the [UN Secretary-General Kofi] Annan plan for Cyprus , as we all remember, is evidence of the destructiveness of such external pressure.” Russian officials have said this before. The Russian ministry says it favours an international formula for guaranteeing the Cyprus settlement, removing the Turkish troops from the island and excluding NATO. The July putsch in Turkey, and continuing volatility in Turkey’s relationships with Washington and Moscow have intensified the pressure on the Greek-Cypriots to give way in the settlement negotiations. In New York Biden will also be meeting Turkey’s President Recep Tayyip Erdogan, and the Turkish-Cypriot leader, Mustafa Akinci. Anastasiades will then meet Akinci, together with the UN Secretary-General Bank Ki-Moon, on Saturday. 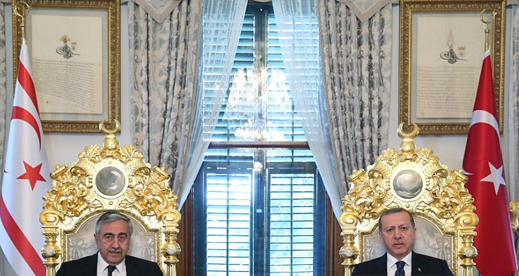 Akinci, Erdogan at the Mabeyn Palace in Istanbul, April 15, 2016. The Lebedev case is also no sideshow in Moscow. This is because the Kremlin has expanded its attack on corruption in the electricity sector. Following the privatization of the state’s power generation and sales monopoly by the close of 2008, there have been bitter conflicts between the new utility owners, state electricity price regulators, regional governors, and President Vladimir Putin himself. In February 2010 Putin publicly attacked Lebedev, Vekselberg, Vladimir Potanin and Mikhail Prokhorov for failing to invest in their privatized electricity companies. Read what he said then. Oleg Deripaska and Gazprom investments in the electricity sector have also come under fire. The state capping of electricity price increases; the rise in the cost of gas, oil and coal to power turbines; and the failure of Russian demand for electricity to grow as fast as the state has planned have sharply reduced the profitability of the utilities, and multiplied their debts. The market value of the shares which the power oligarchs bought in 2008 had dwindled to a tenth or less by the start of this year. Potanin, Prokhorov and Vekselberg have all said they would like to sell their assets, but Kremlin permission has been refused. Arguments over who is to blame for insufficient investment, excessive debt, and the sale price of the shares have been reported as stumbling blocks. Prosecutors’ investigations have also been reported as inducement for the oligarchs to settle. So far, only Potanin (below, left) has been able to sell out without having his men arrested and charged with crimes. The buyer of Potanin’s electricity stake has been the state-controlled utility, Inter RAO UES, directed by the board chairman and Rosneft chief executive, Igor Sechin (centre). Sechin is also overseeing buyout talks with Prokhorov (right) for his utility company, Quadra. For more on a recent police raid against Prokhorov’s Moscow holding and his related troubles, read this. Corruption cases are now being pursued by state prosecutors against regional and national-level executives at the major power companies. The most recently targeted were Vekselberg’s Renova holding and its Komi region utility companies. Two senior executives were arrested on September 5, and a third charged. They are alleged to have paid Rb800 million in bribes between 2007 and 2014 to the former Komi governor and his associates in return for rigged electricity and heating tariffs. Cash fraud and asset-looting cases like those against Lebedev’s TGK-2 have also been started at the power-generating companies, RusHydro and Mosenergo; power station construction companies; and the group of officials around Anatoly Chubais, who were responsible for the privatization selloffs. For more details, read this and this. The financial breakdown of the Russian electricity sector is the unstated background for the ongoing investigation of Lebedev by Attorney-General Clerides and for the new round of questioning for Philippou and the Anastasiades law firm. Cyprus lawyers say they expect resistance to the subpoenas to delay release of fresh evidence; they also believe the delay will make the sting of suspicion sharper for the president.